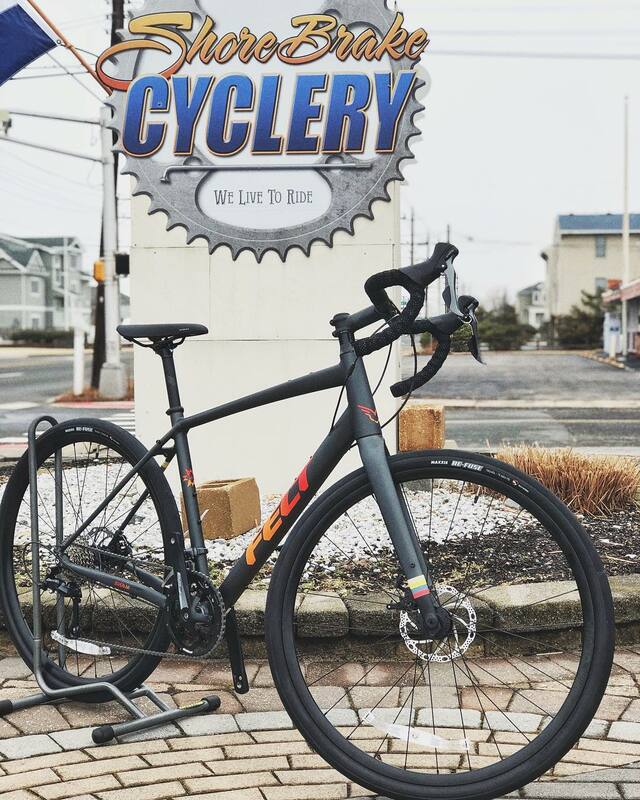 There is so much you can do and experience on Long Beach Island, and a lot can be by bike! 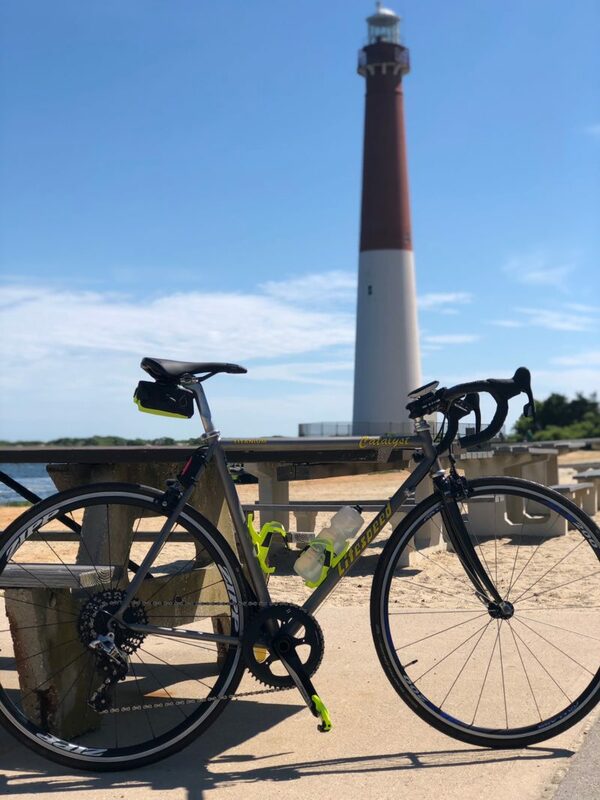 We are excited to share our top five favorite places to visit on bike while visiting Long Beach Island. Good Old Barney is one of the iconic locations on Long Beach Island and the State Park itself is quite beautiful. Barnegat Lighthouse State Park is located on the northern tip of Long Beach Island. From Shore Brake Cyclery head north on Long Beach Blvd 10 miles passing through the each small town until you hit the end of the road. As you are leaving Loveladies and enter into Barnegat Light, you will begin to see Old Barney grow in the distance. Park and lock your bike on the bike rack located at the park entrance and walk around the State Park and enjoy the views. 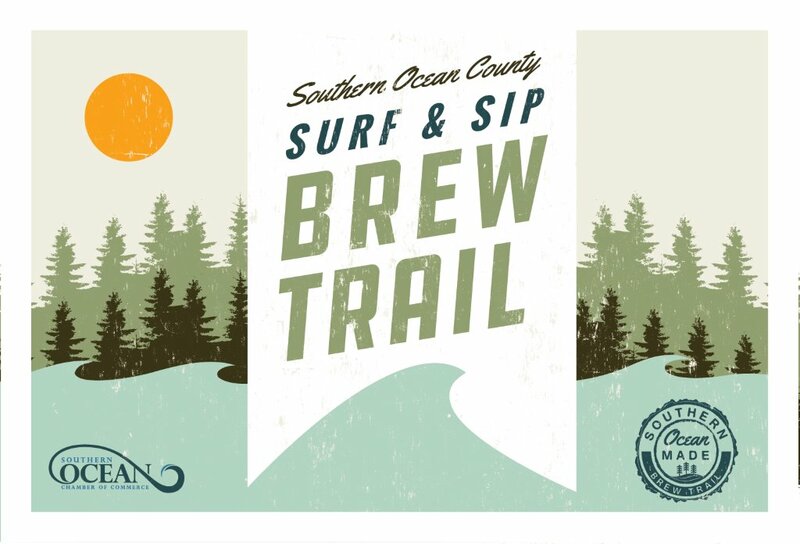 Start by taking a stroll on the nature trail to view and learn more of the natural landscape of the barrier island. Next you can climb the 217 steps to the top of Old Barney to see the most magnificent views of Long Beach Island and read all the “notes” visitors leave on the beach below. Expert Tip: Remember which way the wind is blowing so you save some energy for the ride back (possibly into the wind)! Having a comfort bike will make it much easier. As you are leaving Barnegat Lighthouse State Park on Broadway, you will want to make a right onto West 6th Avenue and then the next left onto Bayview Avenue. Less than a mile down Bayview Avenue you will arrive at the historic Viking Village. There are a number of gift shops as well as a take-out seafood restaurant, coffee shop, fresh produce, fresh seafood market. Throughout the year there are also a number of craft and antique shows from Memorial Day through Columbus Day. Expert Tip: Plan ahead and book a behind the scenes commercial fishing dock tour of the historic Viking Village docks. Tours are held every Friday morning. After the tour stop by How You Brewin’ for some delicious ice cream or an ice coffee to refresh before the trip back. Located in the heart of Beach Haven, Fantasy Island Amusement Park is family owned and operated since 1984 and is designed to be fun for all ages. Within the park there are many carnival rides and exciting boardwalk style games with fun prizes. There is also an indoor arcade and stands with your favorite carnival food including: ice cream, funnel cakes, milkshakes and more. Leaving from Shore Brake Cyclery head south on Ocean Blvd for about 5 miles. Then turn onto 7th street in Beach Haven. On the south side of the building will be a great bike rack to lock your bike up. Head inside and enjoy all the rides and arcade games. Have children that cannot ride on their own yet? No problem, equipment your bike with a Burley Trailer and/or a Topeak child seat to bring the little ones along for the ride. Expect Tip: If riding to Fantasy Island or Bay Village at night, equipment your bike with lights to ensure you are seen by the cars on the road. Leaving from Shore Brake Cyclery head south on the Blvd. 8 miles until you reach the end of the road. You will ride directly into the parking lot of the Reserve. The 3.5 mile long beach in front of you is part of the Edwin B. Forsythe Reserve and in the distance you will be able to see the Atlantic City skyline. September to March is considered non-nesting season on the reserve and the public is welcome to walk the beachfront and take advantage of its plentiful wildlife viewing opportunities. During the nesting season (April 1 – August 31) the reserve is closed to public access, to ensure undisturbed nesting conditions for threatened piping plovers and other beach nesters. Pack your binoculars to be able to enjoy the views and see how many different species of birds you can spot. Holgate is also home to a number of great surfing beaches. Want to travel with your board? We have surfboard racks in stock at the shop so you won’t have to miss out on the waves! Expert Tip: Remember which way the wind is blowing so you can conserve some energy for the ride back to the shop. 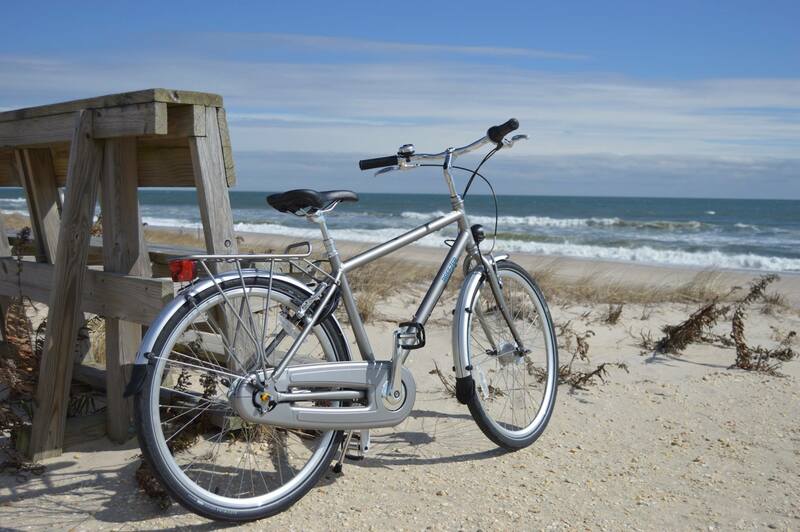 Share with us your favorite spots to bike on Long Beach Island by sharing your photos and videos with us. Tag #BikeLBI and @ShoreBrakeCyclery on Instagram! Want updates delivered right to your inbox?